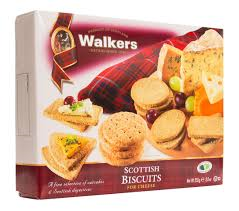 A fine selection of oatcakes and Scottish digestives - perfect with cheese, especially smoked Arran cheese, and a wide variety of accompaniments. Oatmeal (54%), wheat flour, vegetable oils, sugar, wheat bran (3%), invert sugar syrup, salt, skimmed milk powder, raising agent (sodium bicarbonate). Contains milk, wheat, gluten. Not suitable for nut allergy sufferers.